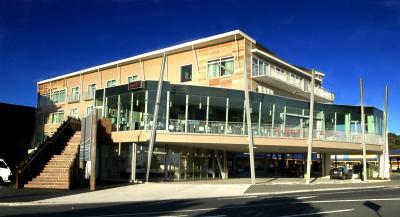 Boasting Tasman Sea views, free WiFi in all room types, plus a restaurant and bar, The Waterfront Hotel is situated on the waterfront in New Plymouth’s city centre. Featuring stylish rooms with a double spa bath, flat-screen satellite TV and an iPod dock, Nice Hotel is located next to the historic St. Mary’s Church. It features an award-winning restaurant and free on-site parking. The 4-star Quality Hotel Plymouth International offers contemporary studios and suites with ample space. Guests enjoy free on-site parking and complimentary WiFi throughout the complex. 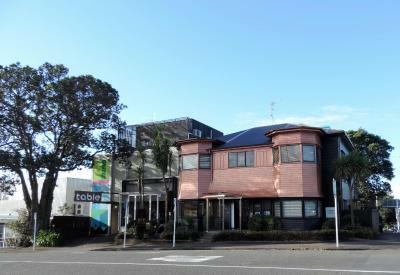 Located in New Plymouth town centre, King and Queen Hotel Suites offer luxurious accommodation with free Wi-Fi, an iPod docking station and a 42-inch plasma TV with cable channels. Located 200 metres from the waterfront and New Plymouth's shops and cafes, The State Hotel offers a vibrant on-site restaurant and bar. Guests enjoy free WiFi.